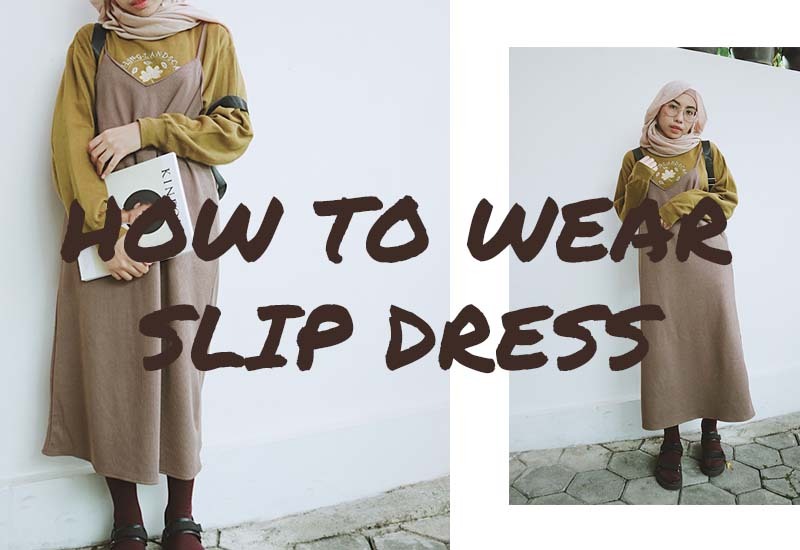 It's a bit tricky when I want to wear slip dress as hijabi. 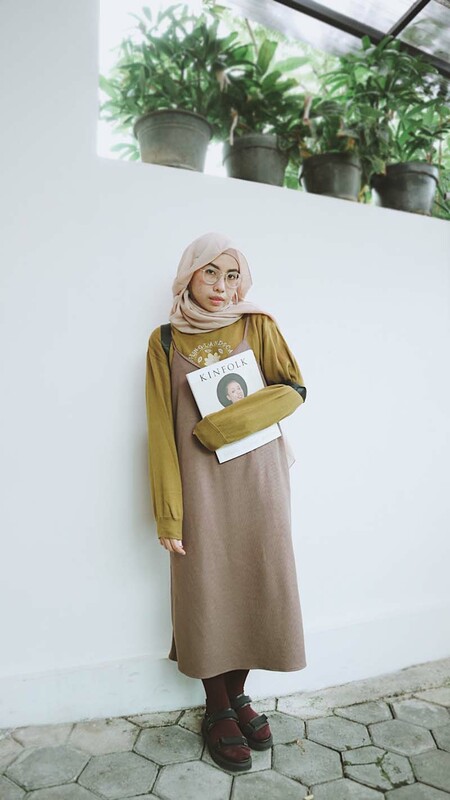 The siluet of slip dress sometimes does not look friendly on you especially when you are wearing hijab. 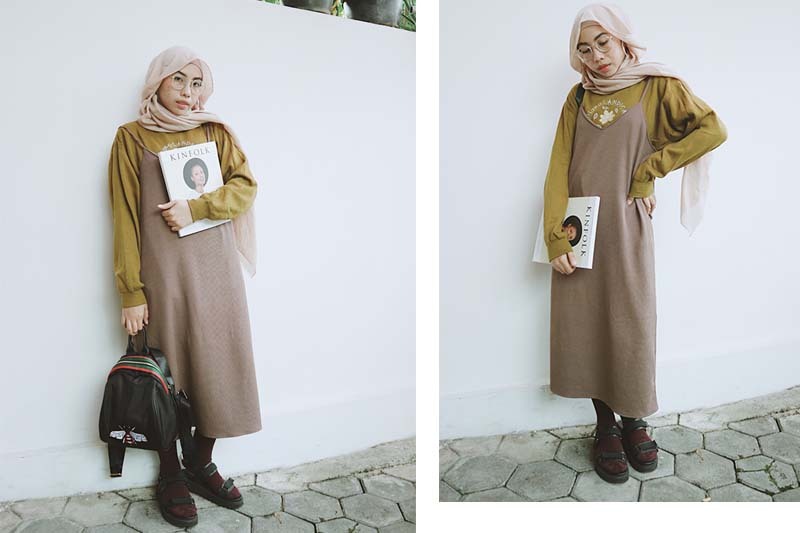 Meanwhile it's so cute to wear slip dress as outerwear, isn't it? Wearing a slip dress as an outer also gives you a stylish look without looking you put so much effort on being stylish. This time I'm wearing a milo slip dress and a sweater with embroidery details at front in avocado color. I wore a long maroon sock to complete the look. I got so many compliments on my instagram account @theladyulia when I post this kind of style. I think it is because people see colors coordination on my outfit compare to if I'm wearing a black slip dress mixed with a white shirt at the top.